This was my absolute favorite Hawaiian food. 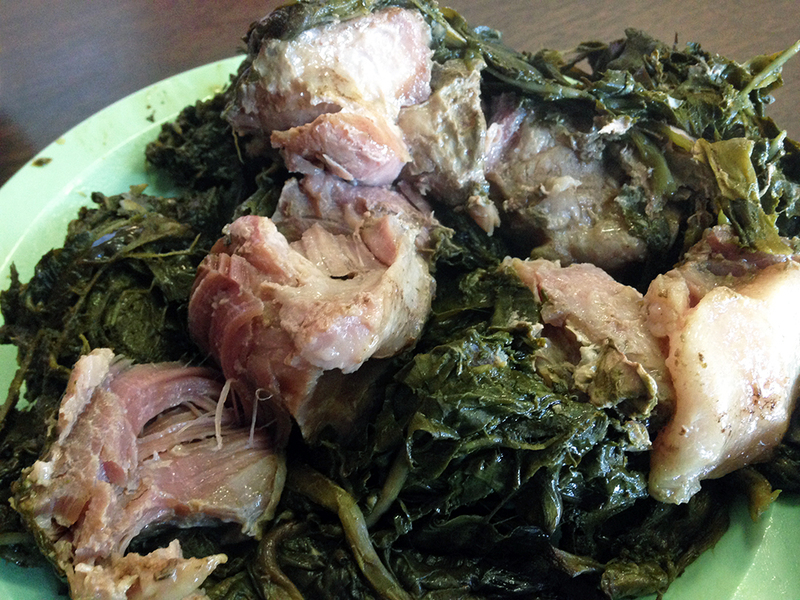 tender, falling apart pork, steamed in delicious spinach-like taro greens. I still dream of this.